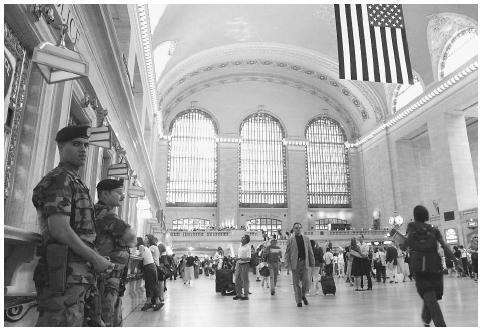 United States soldiers, left, stand watch in Grand Central Terminal in New York after the Transportation Department warned transit and other railroad systems about possible terrorist attacks in May 2002. U.S. Department of Transportation. < http://www.dot.gov/ > (April 3, 2003).